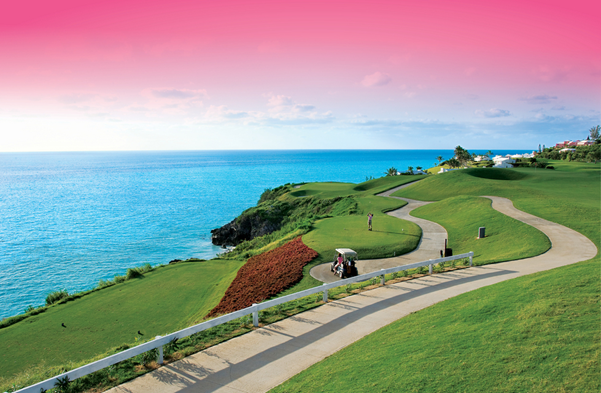 Golf in Bermuda is at its best at The Turtle Hill Golf Club at The Fairmont Southampton. Winner of Golf Digest’s “Best Places to Play Golf”, this Bermuda golf resort’s course features 18 challenging par 3 holes, most with stunning views of the Atlantic Ocean. With its lush sub-tropical surroundings, dramatic elevation changes, and strong coastal winds, this challenging 2,684-yard golf course is designed to take your short game to new heights, requiring patience and prudent club selection. Whether you head out to the Bermuda golf course for tournament play or a friendly game, you'll be delighted with the myriad of bunkers, two water hazards, and three tee offerings on all 18 holes. Ranked one of the top five par 3 courses in the world by Golf Magazine, Turtle Hill is the perfect course for golfers of all skill levels. Rent clubs at the Bermuda golf resort’s full-service Pro Shop, where you can also store your bag upon arrival or arrange for lessons from one of the course’s golf professionals. 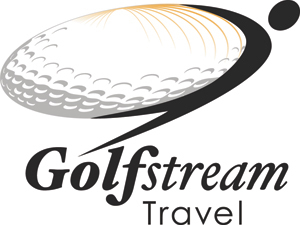 A large range of golf and resort casual apparel are also available for purchase. 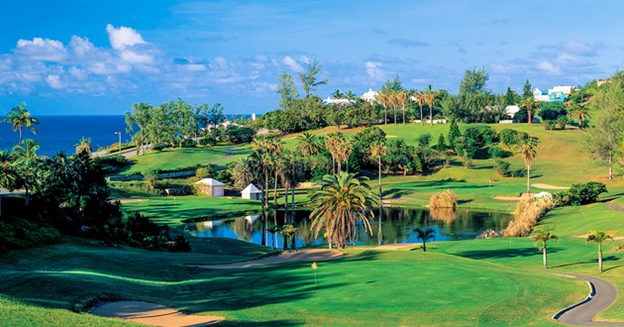 The Fairmont Southampton also offers preferred access to the Riddell’s Bay Golf & Country Club and can arrange tee times at many of the other courses on the island. WHILE STAYING AT THE FAIRMONT SOUTHAMPTON YOU CAN ENJOY PLAYING OTHER FABULOUS GOLF COURSES. PLEASE SEE SEVERAL OTHER AMAZING COURSES ON THE ISLAND THAT WE RECOMMEND AS MUST PLAYS. 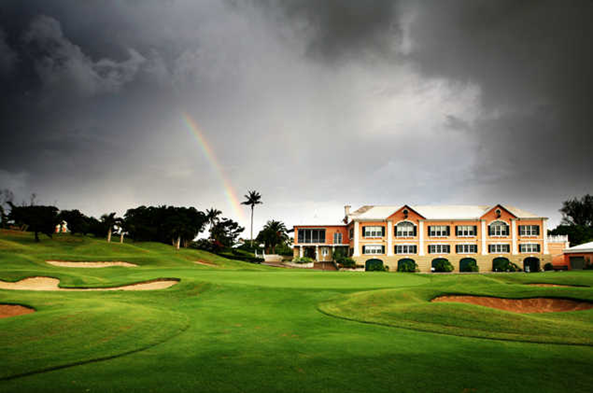 Riddell's Bay Golf & Country Club, opened in 1922, is Bermuda's oldest golf course. Winding along a peninsula which, at its widest point, measures only some 600 yards, these scenic links provide golfers with a magnificent challenge to both their game and camera. The Riddell's Bay Golf & Country Club course was originally designed by architect Devereux Emmett who, shortly afterwards, built the Congressional near Washington, D.C., the site of the 1997 U.S. Open. Just as Congressional was remodeled by Robert Trent Jones, and again more recently by his son, Rees Trent Jones, so is Riddell's Bay gradually acquiring a new look. While Riddell's Bay may not pose the sternest test on the island, in part due to its relatively short length, it is still an enjoyable test for all golfers. Measuring 5,800 yards, with some of the holes mapped out on an ocean peninsula that measures 600 yards at its widest point, this is a truly unique layout. Welcome to Port Royal Golf Course home of stunning ocean views, breathtaking Bermuda landscapes and one of the greatest holes in golf. Ranked among the world’s best public golf courses by Golf Digest and named Bermuda’s finest course by the New York Times, Port Royal features 18 championship holes over 6,842 manicured yards, the longest and most picturesque course in all of Bermuda. Designed by world-renowned architect Robert Trent Jones Sr. in 1970, Port Royal has recently undergone a $14.5 million renovation, a complete makeover spearheaded by original design team member Roger Rulewich in preparation for the 2009/2010 PGA Grand Slam of Golf. With the support of the Bermuda Government, Port Royal is now one of the world’s premier public golf courses boasting TifEagle greens, a state-of-the art irrigation system and sweeping ocean views from nearly every hole. Add to that its’ 300-yard oceanfront driving range and the course’s luxurious clubhouse and your Port Royal experience is sure to be unforgettable. In addition to welcoming you and your guests for a perfect day of golf, Port Royal is proud to host corporate, society or charity events and tournaments throughout the year. Your clients and colleagues will longingly reflect on a superb day in paradise made possible by our professional staff’s gracious hospitality and warm Bermudian charm. 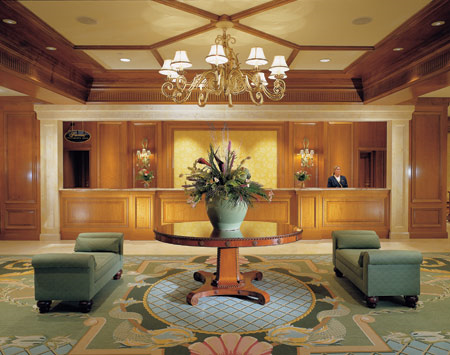 Boasting the largest guestrooms in Bermuda, The Fairmont Southampton features 593 spacious Bermuda hotel accommodations including 11 junior suites, 23 one- and two-bedroom suites, two split-level duplex suites, and two penthouse suites. In addition, our Bermuda hotel is proud to feature 74 rooms on Fairmont Gold, a unique luxury lifestyle experience offering an unsurpassed level of luxury Bermuda accommodations, service and amenities including private registration, exclusive concierge, plus a private harbour view lounge where you'll enjoy complimentary breakfast each morning, afternoon tea and canapés every evening. 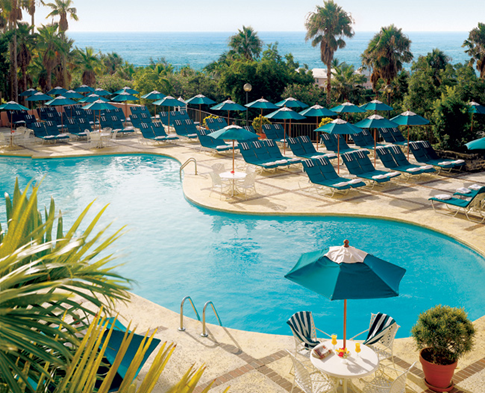 Our Bermuda accommodations have views of the Atlantic Ocean, the Great Sound and the resort’s lush 18-hole par three golf course and all rooms boast private balconies, marble bathrooms and walk-in closets plus plush bathrobes, coffee makers and high-speed Internet connections. Expect elegant British colonial décor with a splash of the tropics throughout and sumptuous Miller Harris bath and beauty products in all of the resort’s luxurious bathrooms. Please see the Guest Rooms, Suites and Specialty Rooms, and FAIRMONT GOLD for complete Fairmont Southampton, Bermuda accommodation descriptions. Born of fire, Bermuda embodies nature’s elements with simplicity, boldness and grace. Our Bermuda spa resort is on an island oasis in the Atlantic where limestone cliffs emerge from the sea, intersecting the endless sky and playing home to a vibrant ecosystem. Lush flora—from the majestic Bermuda cedar to flowering hibiscus and morning glory—thrives in the humidity and warmth. Nourishment derives from native coconut, banana, papaya and loquat fruit, while a healing embrace is found in an abundance of robust rosemary, juniper and aloe. Willow Stream Spa at The Fairmont Southampton, voted “Best Spa in Bermuda” for over a decade running, is a sanctuary where one is always welcomed with the friendly joy of Bermudian hospitality. Your Willow Stream treatment, reflecting influences from all corners of the world, brings healthful rejuvenation at the hands of an experienced Bermuda spa staff. 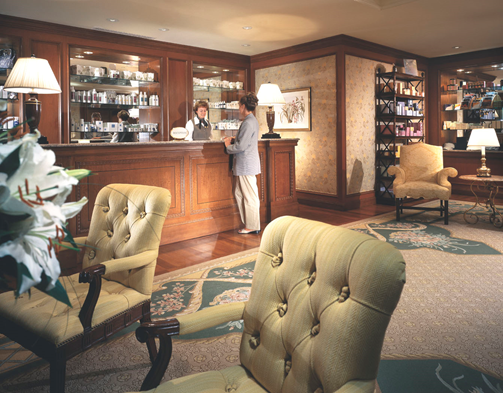 Our selection of signature treatments offers a balance of classic and local elements. Cleanse and rejuvenate your body with deep heat, hydrotherapy and massage. Care for your skin as you enjoy the abundance of sun, wind and water. And soothe your senses with the carefully designed flow of energy that is the Willow Stream Bermuda Spa experience. Whether you seek the energizing effects of a workout in our fitness centre with panoramic views of the South Shore, an invigorating round of sweat therapy in our sauna and steam rooms, a pampering in our stylish salon—or simple relaxation amid the gardens, limestone, waterfalls and stunning island vistas at our expansive pool and sun deck—your perfect retreat awaits. 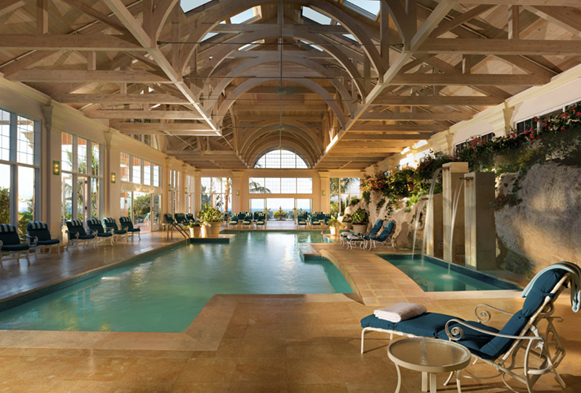 Welcome to Willow Stream Spa in Bermuda's Fairmont Southampton. From our children's program to poolside service, our Bermuda family resort has created a luxury experience that anticipates the needs of our valued guests. One of the world's incomparable luxury resorts, The Fairmont Southampton in Bermuda offers you and your family endless possibilities for recreation and relaxation including: The Turtle Hill Golf Club, an award winning 18-hole Championship Par 3 golf course; a 31,000-square-feet Willow Stream Spa and fitness center; Resort and Spa pools; an oceanfront beach club complete with shady chaise lounges; PADI dive center; snorkeling rentals; water sports; tennis courts; and more. Kids will enjoy our daily children’s programs at Explorers Camp including our very popular Enviro Kids Activities and bustling video arcade. Add to that 9 on-site restaurants, cafes, and lounges serving cuisine for all tastes and you may never want to leave the Fairmont Southampton, family resort in Bermuda. With eight Bermuda restaurants in our oceanfront resort serving cuisine and cocktails for all tastes, the Fairmont Southampton offers guests a mouth-watering array of culinary creations. 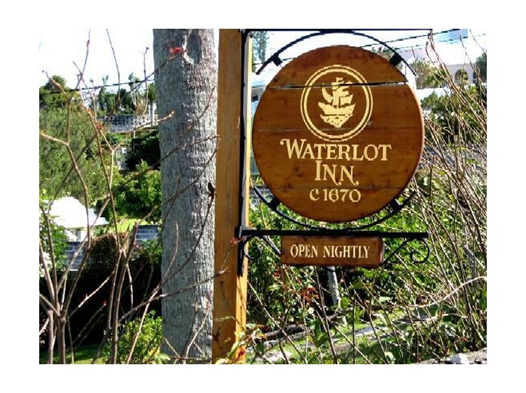 Enjoy fresh local seafood at the beachfront Ocean Club or dine on steaks and chops at one of the best Bermuda steakhouses, the historic Waterlot Inn, housed in a large traditional Bermuda cottage and winner of the prestigious AAA Four Diamond award. For a more of a casual Bermuda restaurant dining experience and a family feast, visit Bacci, serving authentic Italian cuisine. Jasmine Lounge serves signature martinis, tapas and other light fare at its sophisticated lobby setting. Wickets is the ideal place for a casual poolside lunch. 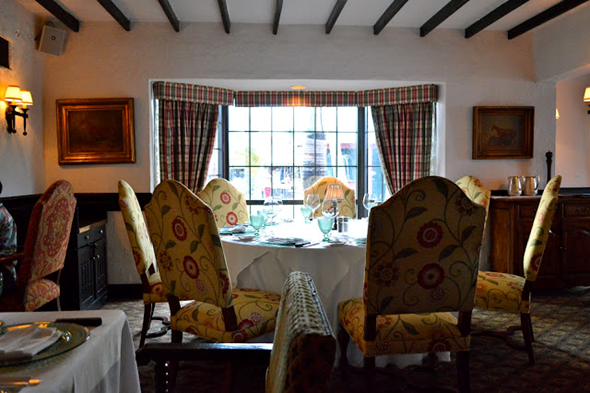 In the mornings, take a seat at Windows on the Sound for breakfast with a view of the Great Sound. For your favourite classic dishes served with a twist, try Newport a Gastropub. Imagine lush tropical gardens, shimmering pink sand beaches, azure blue seas and spectacular sunsets, and you have envisioned Bermuda. 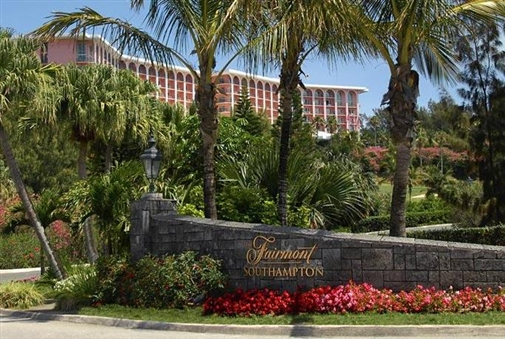 Perched royally on the island's highest point, The Fairmont Southampton overlooks lush acres of land, pink sandy beaches and bountiful gardens. Relax beneath a rainbow of umbrellas at the Beach Club, hit the links for a round of golf, grab your racket for a tennis match, snorkel your way around the reefs, ride the waves on a jet ski, explore the island on your scooter and enjoy our award-winning cuisine at any of our six restaurants. 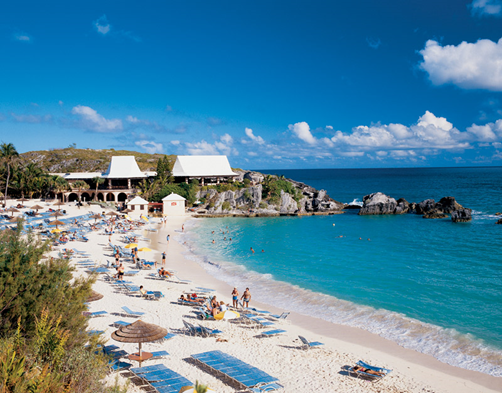 Come and discover old world British charm blended with The New Spirit of Bermuda: The Fairmont Southampton!